This candle is timeless and classy. 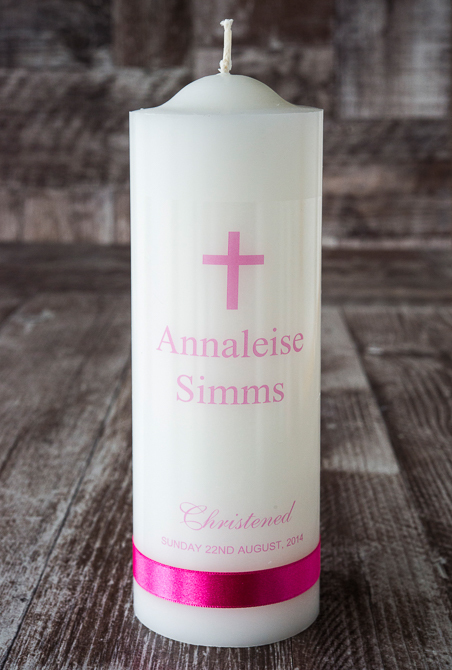 It has a pink cross, your child's name, then the words Baptised or Christened and the date of the ceremony. Choose a lovely verse for the back of the candle if you wish. It is finished with a lovely navy ribbon. All candles are sealed in wax. Large candle shown in picture.